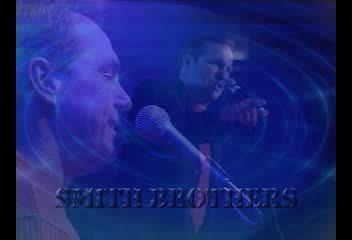 This is the Smith Brothers "Official" Promo Video. It is 5 1/2 minutes long from start to finish. We have included 3 different formats to allow for different connection speeds. The Broadband version is 384k, the ISDN version is 128k and the Dial-Up version is 56k. Although the Dial-Up version is very small and lower quality, it will load much faster for users with 56k connections. We hope you enjoy the video.